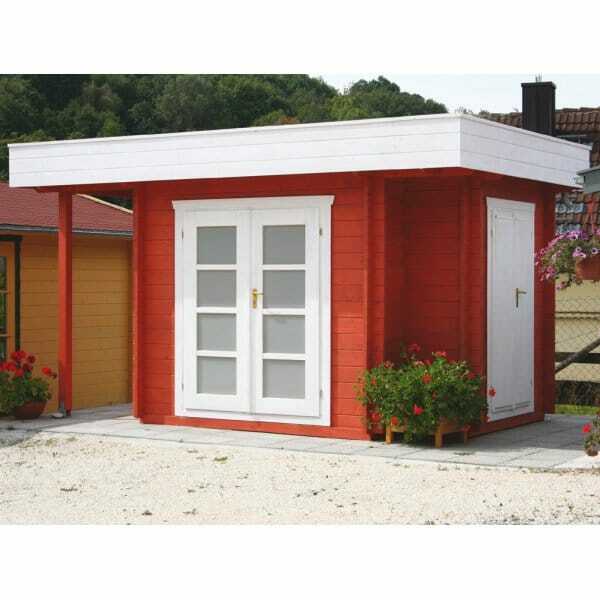 Bertsch Portland 5 Garden featuring a Flat Roof: The Bertsch Portland 5 is a versatile garden log cabin with an extension on the right accessed by its own door. This is ideal for storing garden furniture or a mower. The main building is accessed by double doors with glazed frosted glass allowing light in. The left of the building has a log store to keep belongings / bikes /logs etc. sheltered from the weather.